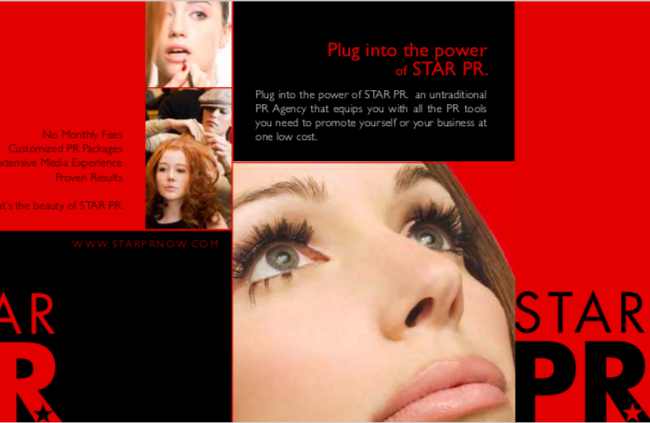 Our seasoned PR team, whose backgrounds encompass the worlds of beauty, fashion, consumer and editorial, will help you generate publicity for your brands or services by creating a customized press kit, media list, and pitch at a fraction of the cost that public relations firms typically charge. Talk about reach: For a minimal investment, you get the valuable PR tools you need to create free media exposure that ranges from print and blogs to broadcast tools that will make millions of impressions and a powerful difference in your business. That’s the beauty of STAR PR. 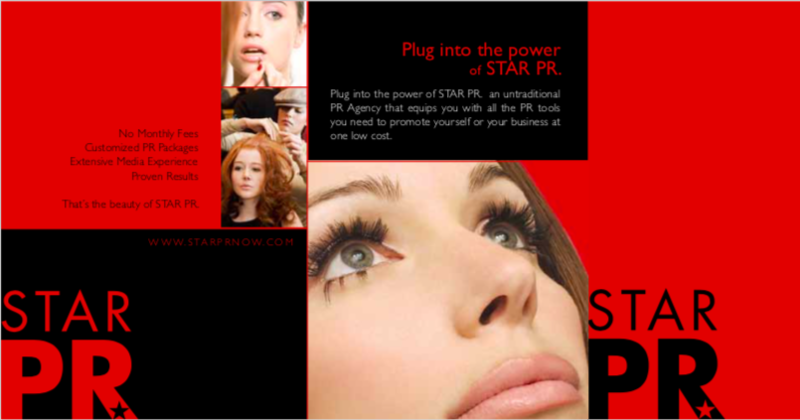 STAR PR offers three stellar publicity packages that are designed to take your business out of the shadows and place it in the media spotlight. Experience greater media exposure and editorial placements by choosing one of STAR PR’s affordable bundles, with no monthly retainer or hidden fees.